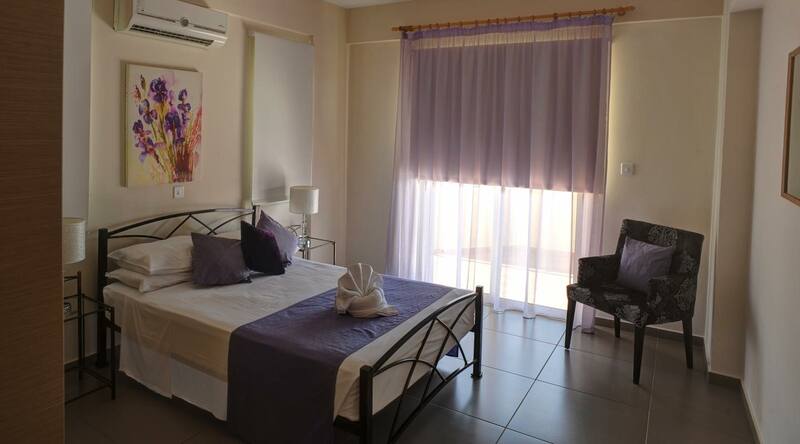 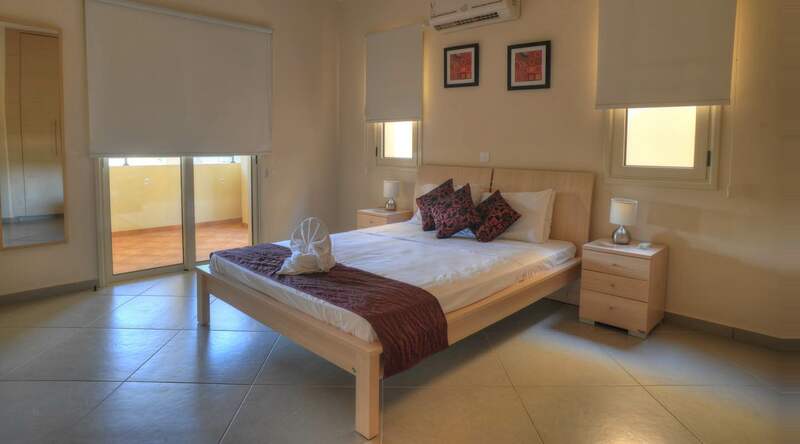 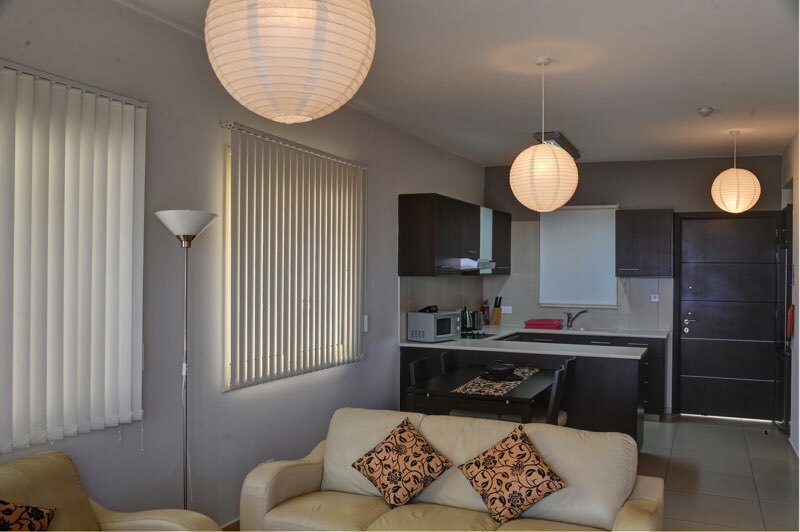 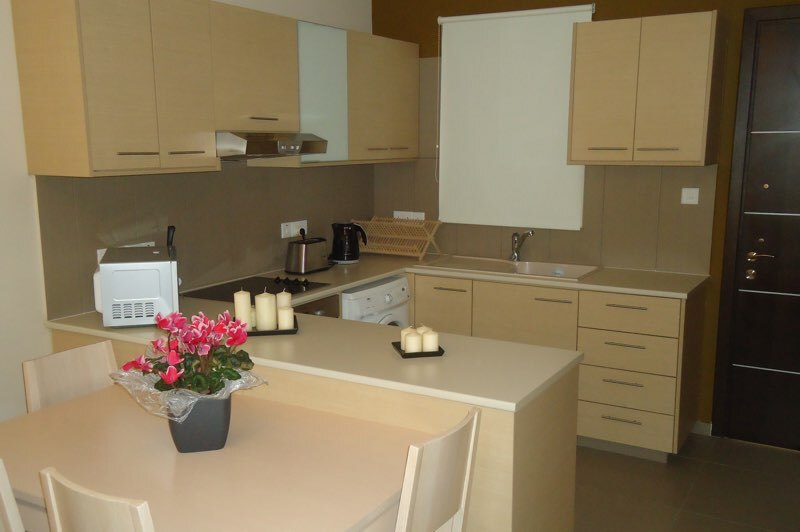 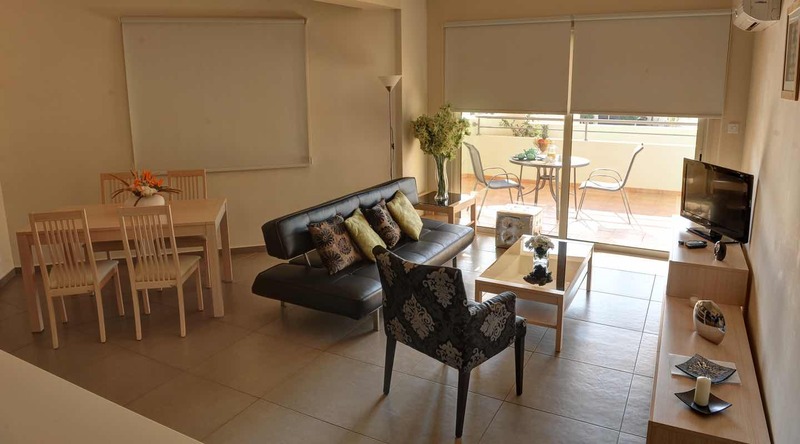 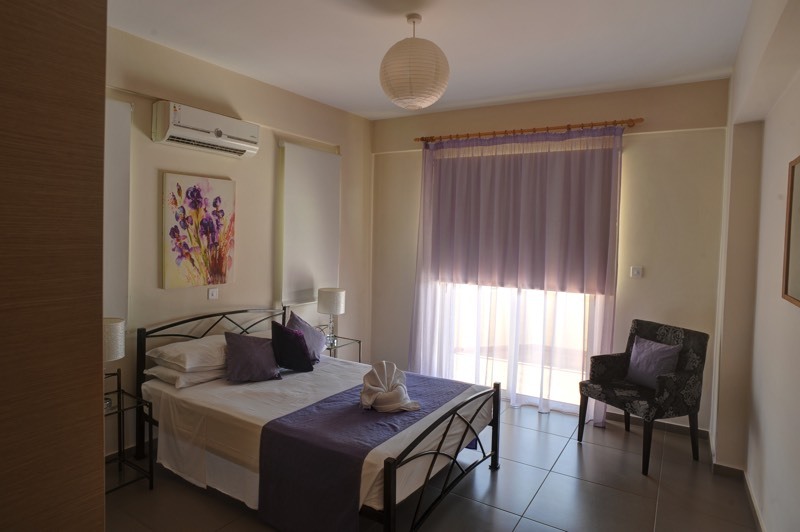 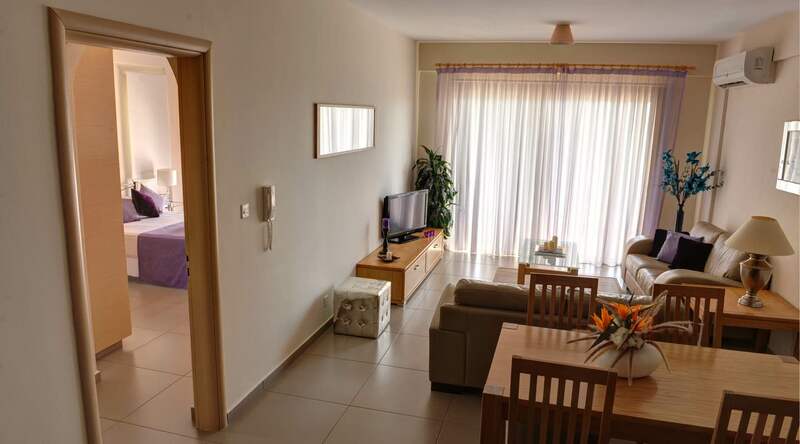 The one bedroom apartment offers elegant and contemporary accommodation. 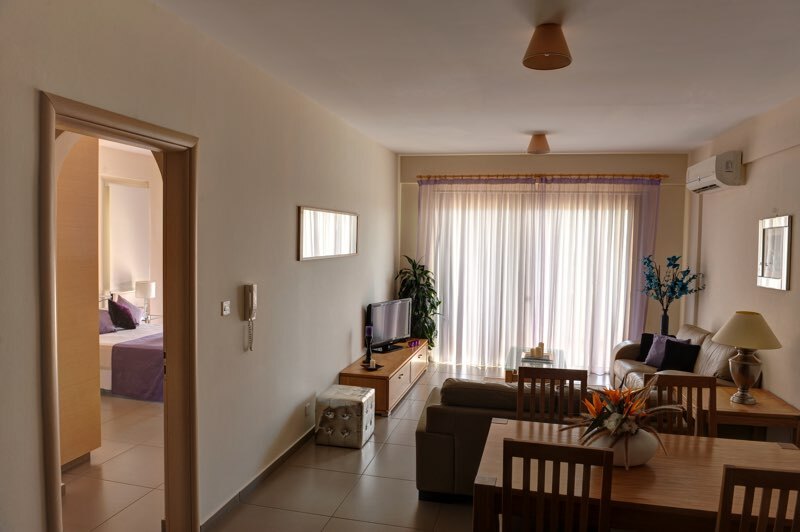 The tastefully furnished open plan lounge and dining room is both spacious and comfortable, a relaxed stylish interior complete with dining suite, two sofas, coffee table and wide screen LCD TV and DVD player; Wi-Fi internet connection is available at a charge throughout the resort and air condition units in all rooms provide excellent climate control, both summer and winter. 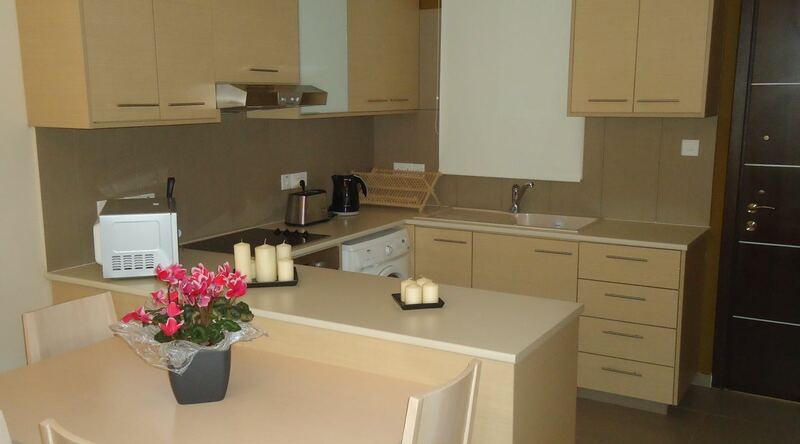 The adjacent luxury kitchen offers full range of modern appliances with cooker and hob, a fridge freezer, microwave and washing machine; the extensive cupboard and storage spaces are well stocked with crockery, cutlery, glassware, saucepans and basic housekeeping equipment, an iron and ironing board and clothes airer, to ensure you enjoy an effortless ‘home-from-home’ experience. 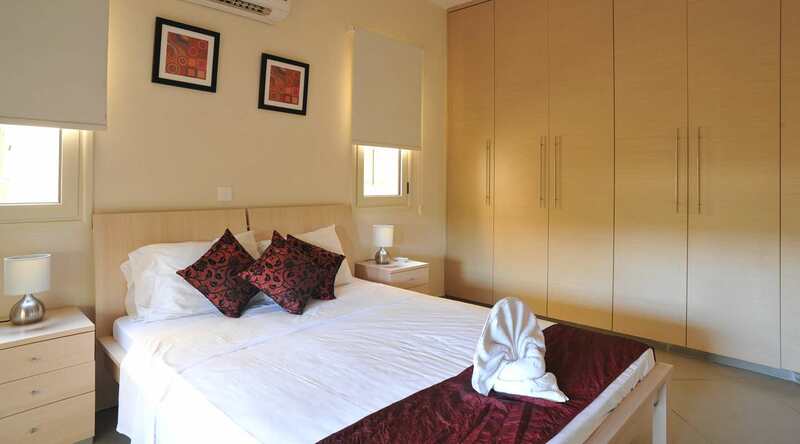 The bedroom is luxuriously designed with your utmost comfort in mind; a king size bed, two bedside tables with night lamps, hairdryer and extensive fitted wardrobes. 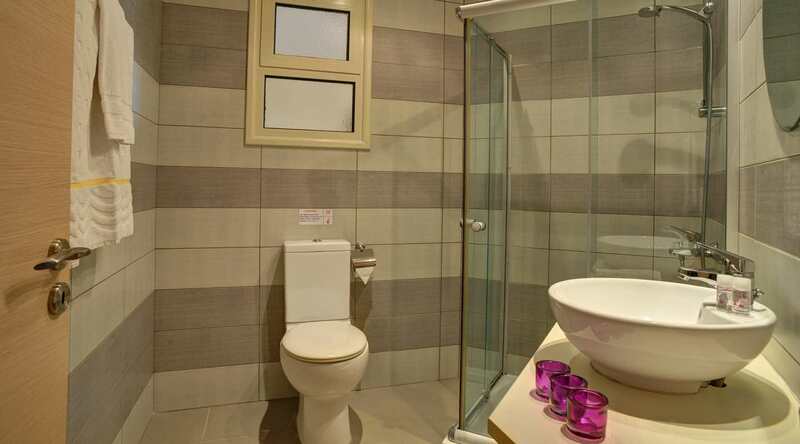 The bathroom offers contemporary and elegant sanitary ware suites with inbuilt sink, storage cabinets, towel rails and mirror. 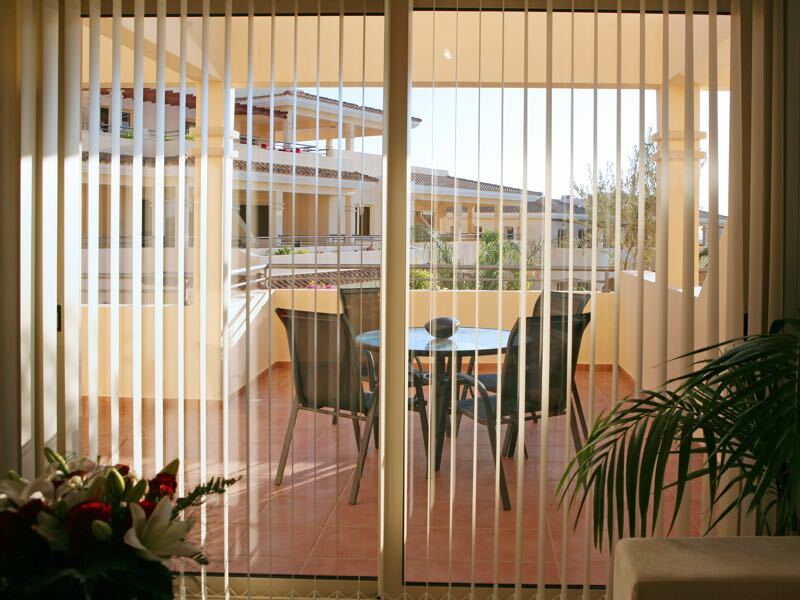 Balconies of one bedroom apartment are furnished with an outdoor dining table and chairs, the perfect setting to relax and enjoy a selfmade lunch from your private veranda. 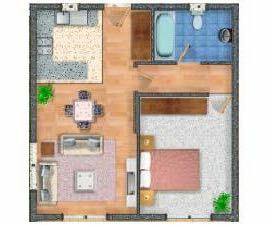 Apartment Plan: Approximately 55 sq.m. 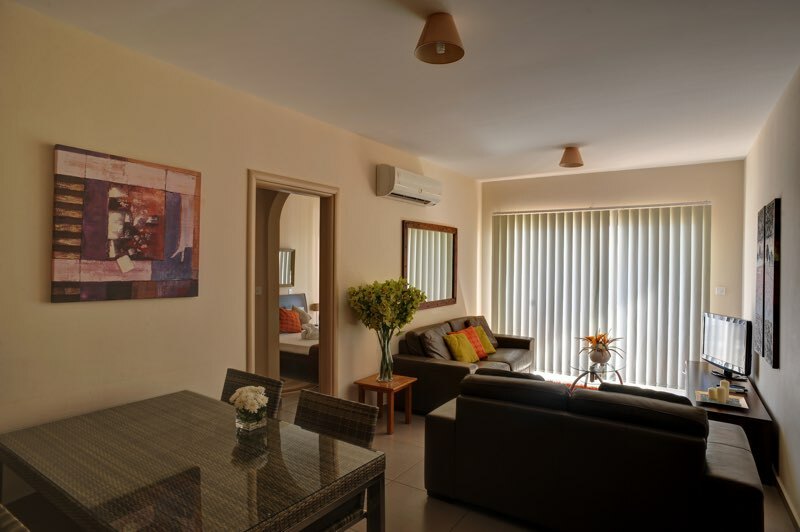 Suitable for couples, families to enjoy their private pool together.